Oak is one of the most popular choices of hardwood flooring for a variety of reasons. The chief reason for this popularity is the free availability of indigenous oak in North America. Oak trees have been responsibly harvested and replanted here for many decades. The common species of oak for hardwood floorings are white oak and red oak. Both are supposed to last way over 100 years. You can still find turn-of-the-century houses with well-preserved original white and red oak hardwood floorings. Red oak, the most popular hardwood flooring in America, is more popular than white oak, perhaps because its reddish tint is more exciting and matches better with a wider range of furniture. White oak, on the other hand, is harder. It has a Janka hardness rating of 1360, versus 1290 for red oak. Due to its lighter color and higher hardness, white oak stains better, so you’ll find many different shades of white oak out there. This article on the best natural white oak flooring (naturally) excludes aggressively stained white oak. The unmistakable characteristic of white oak is its grain pattern. The ray flecking of quarter-sawn white oak is particularly sought after. Some solid white oak floorings are being sold with a 100-year warranty. A long warranty may be reassuring, but we did not put too much emphasis on this in our search for the best natural white oak flooring. You’d have to pay more for something like a 100-year warranty, because the manufacturer would have to include an estimated warranty cost factor in the pricing. Plus, the factor would be even higher if the company were to make the warranty transferable. You’d also be limited to old manufacturers. For example, an exciting new manufacturer established 10 years ago would not attempt to offer a 100-year warranty, which doesn’t mean the solid white oak flooring wouldn’t last that long – it probably would with proper care. 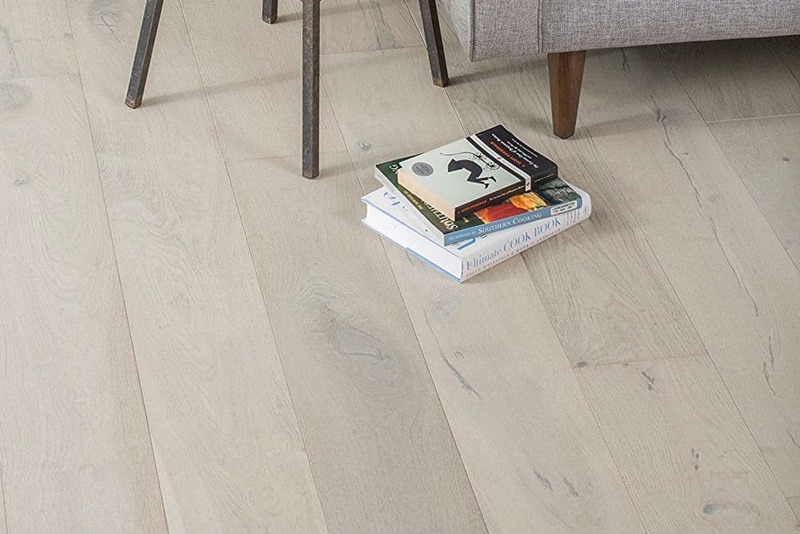 Here are the best natural white oak floorings. The GoHaus Friendship white oak is an engineered wood with plywood base and 2mm thick real white oak veneer. The GoHaus Friendship is named after an oak tree in Mississippi of the same name. GoHaus is an eco-friendly vinyl and engineered wood flooring company headquartered in San Diego, CA. Engineered wood is now way more popular than solid wood. The plywood base is not like the cheap particle board used in laminate floorings. Furthermore, its layering ensures that engineered wood endures higher humidity and more significant temperature swings than solid wood. Although you wouldn’t want to use wood flooring of any type in a damp basement, high-quality engineered wood like the GoHaus Friendship can be installed in houses located near the ocean or at a wet climate location. The most distinguishing features of the GoHaus Friendship are its 7.5” width and its unique white oak veneer. This best natural white oak flooring is a light-colored white oak with enveloping gray and seductive hints of red. The wide 7.5” planks impart a relaxing and casual atmosphere. The 2mm thick white oak wear layer makes the GoHaus Friendship durable. You’ll be able to sand and refinish it at least once, sometime in the future. Good quality engineered wood flooring with 2mm wear layer can last up to 40 years. In our opinion, this is the best natural white oak flooring of the engineered wood variety available today. Rockler Woodworking and Hardware is a Minnesota company that has been around since 1954. They are known for their sawn lumber by the piece, especially the domestic hardwood trees. The Rockler quarter-sawn white oak by the piece is a great find. They come in thicknesses from 0.25” to 0.75”, widths of either 3” or 5”, and lengths of 24” or 48”. For use as hardwood flooring, you can go with traditional thicknesses of 0.5” and 0.75”, or if you wish, 0.25” for thin-lay solid wood floor. Wait till you see the natural flecking in the Rockler quarter-sawn white oak. The white oak ray flecks are highly sought after and they are the most pronounced in quarter-sawn white oak. Quarter sawing produces more waste than flat sawing, so you can expect to pay more for quarter-sawn white oak. What you will get with the Rockler white oak by the piece is truly natural white oak. This is the best natural white oak flooring of the solid wood type. These white oak pieces are unfinished so, if using it as hardwood flooring, you should have the installer seal and finish the wood or do it yourself. Very fairly priced for solid white oak. In fact, this is the best natural white oak flooring. They are planed and sanded but unfinished, which would add to the installation cost. Not specifically made for hardwood flooring, so these white oak pieces don’t come with any warranty. There is not much of a fight in the engineered wood vs solid wood debate anymore. It’s the bottom of the seventh inning and engineered wood is leading by a lot. The best natural white oak flooring of the engineered wood variety is the GoHaus Friendship white oak. The unique white oak veneer is décor-friendly, resistant to scratches, and it hides pet hair and dirt as well as any hardwood flooring. 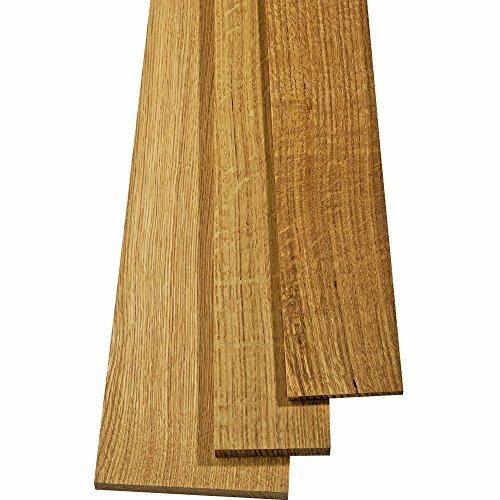 If you live in a climate friendly to solid wood flooring and you are still of the opinion that this is the way to go, the best natural white oak flooring of the solid wood variety is the Rockler quarter-sawn white oak by the piece. 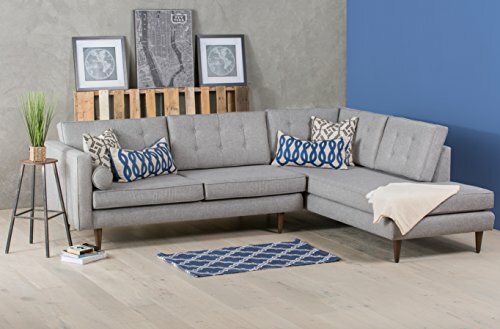 You’ll love the natural flecking in this quarter-sawn white oak and nothing stains as well as white oak. The Rockler quarter-sawn white oak promises to take your breath away when properly installed and finished.